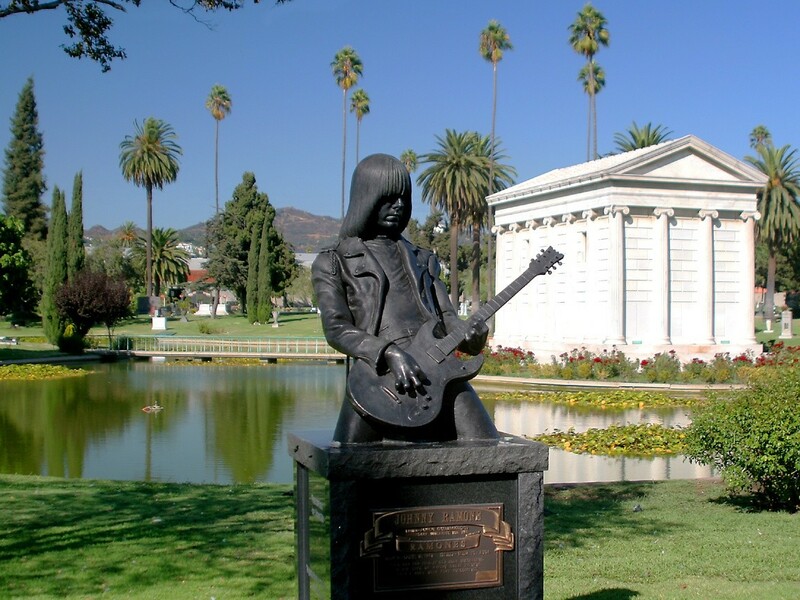 Hollywood Forever Cemetery – Pay your respects to Johnny Ramone & Jayne Mansfield on Route 66 | Best Road Trip Ever! Paramount Studios was built on the back half of the original Hollywood Cemetery, where the studio is still in operation today. The cemetery of choice for most of the founders of Hollywood’s great studios, as well as writers, directors, and, performers, Hollywood Forever Cemetery is now listed on the National Register of Historic Sites. Located on Santa Monica Blvd, formerly a part of Route 66, and founded in 1899, this cemetery was an integral part of the growth of early Hollywood.